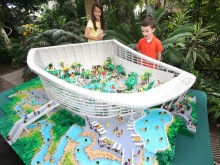 Over 100 indoor and outdoor activities for all the family to enjoy With less than a year to go until Center Parcs Ireland opens its doors, the company has today announced a raft of exciting activities that Irish families can expect to see and enjoy at the much-anticipated Longford Forest Resort. 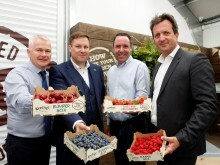 Keelings, Heaney Meats, Lynas and Henderson selected as premium food partners Thursday, 5th July 2018: Four of Ireland’s top food companies will benefit from a significant boost to their businesses as Center Parcs announces the awarding of food supplier contracts to its Center Parcs Longford Forest resort – due to open in summer 2019 – worth a combined total of €15.2 million. 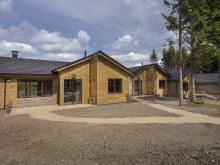 Sunday, 11th May 2018: Center Parcs today announces the awarding of the first tranche of large scale supplier contracts worth over €1 million to Irish companies as the development of its’ first Center Parcs forest resort in Longford continues at pace. Java Republic has been awarded a significant six figure contract for the provision of premium coffee and tea across the resort’s cafes and bars. 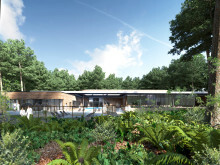 12th December 2017: Center Parcs has today announced its first non –construction contract for Longford Forest. Fagan Office Supplies, based in Mullingar, have been chosen as the office furniture supplier for the site. Tuesday, 5th December 2017: As construction activity on the much anticipated €233m Center Parcs Longford Forest resort in County Longford ramps up, the company announces it has formally awarded two major construction contracts to Dublin based construction firm John Sisk & Son. 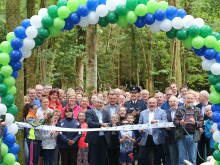 Thursday, 29th June 2017: Martin Dalby, CEO Center Parcs was on hand to officially open the new woodland footpath at Newcastle Wood, Ballymahon on Thursday, 29th June, another key milestone for Center Parcs in the local community. Company to contribute €3m towards extension of the gas network into Co Longford 20th June 2017 - Center Parcs today announced that it has signed a contract with Gas Networks Ireland to extend the natural gas network to its new holiday village at Newcastle Wood, Ballymahon, Co. Longford. 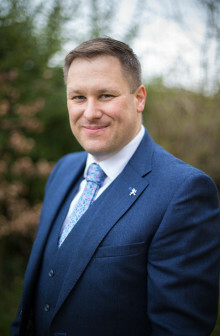 -First employee for Center Parcs in Ireland - Wednesday 5th April 2017 - Center Parcs has today announced the appointment of Daragh Feighery as the first General Manager of Center Parcs Longford Forest, near Ballymahon, County Longford. Thursday, 23rd February 2017 - Center Parcs today announced that it had awarded its first major contract to Limerick based Roadbridge Civil Engineering & Building Contractors.This comes following a competitive tendering process for the Center Parcs Longford Forest Holiday Village. 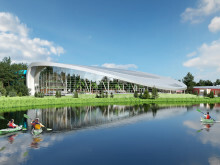 ‘Center Parcs Longford Forest’ revealed as the name for proposed Center Parcs’ development in Ireland Wednesday, 26th August 2015: Center Parcs has announced that it will share a full preview of its proposed plan for a €200m holiday village on a 375 acres site at Newcastle Wood. 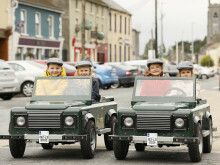 Friday, 24th July 2015: As part of its community engagement programme in support of its proposed plans to develop a €200m holiday village in Newcastle Wood, five kilometres from Ballymahon in County Longford, Center Parcs will host a community day in Ballymahon Library on Tuesday, 4th August.